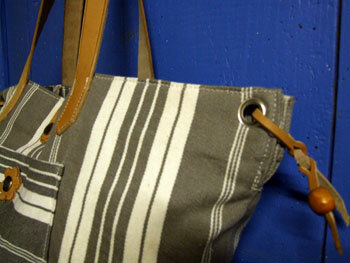 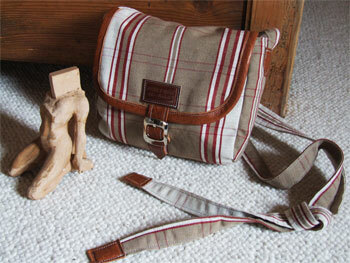 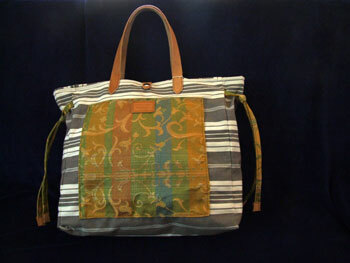 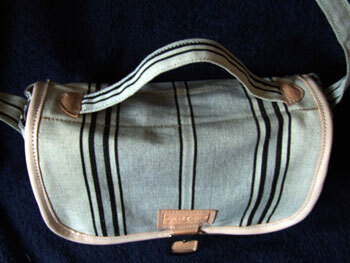 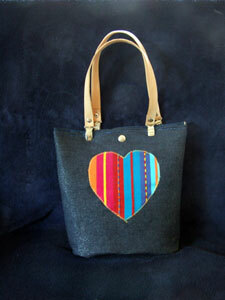 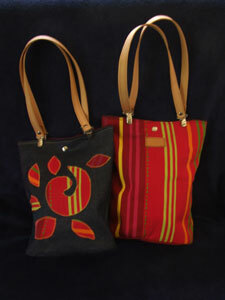 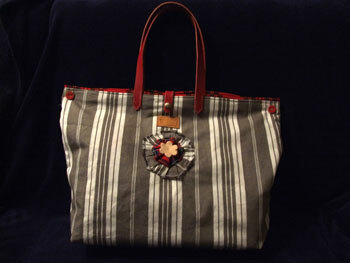 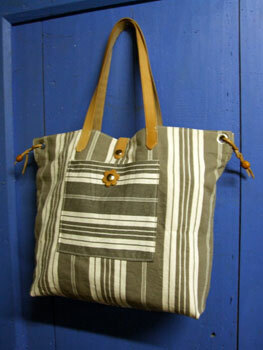 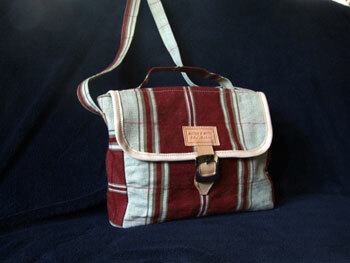 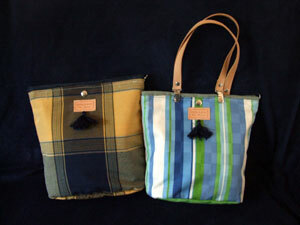 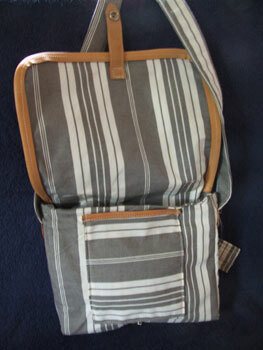 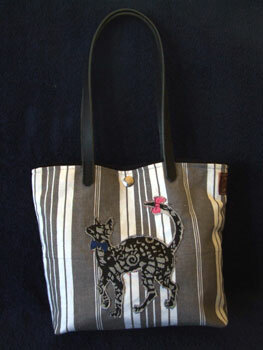 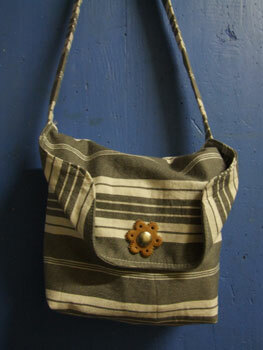 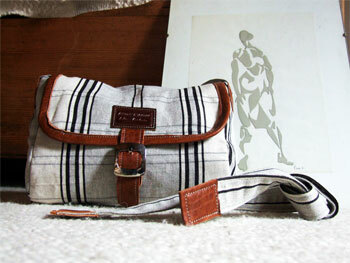 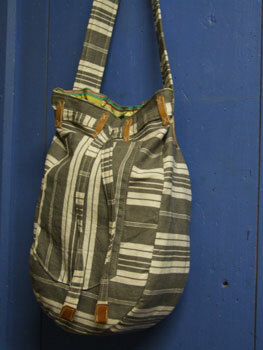 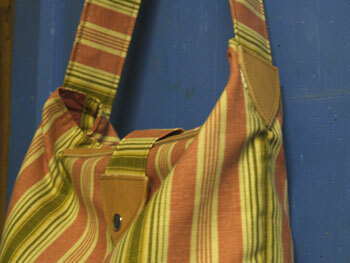 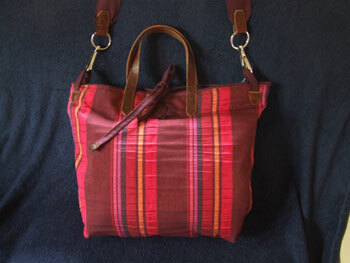 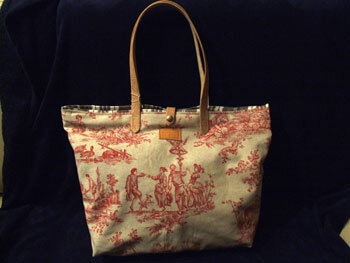 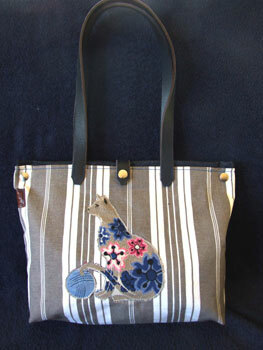 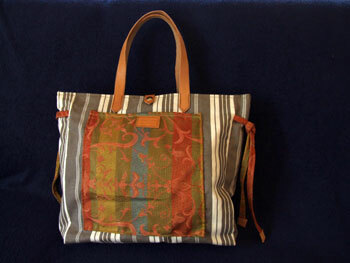 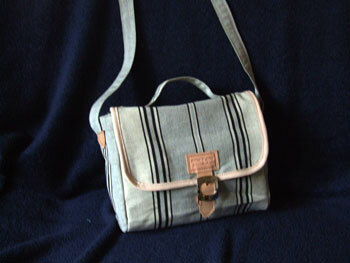 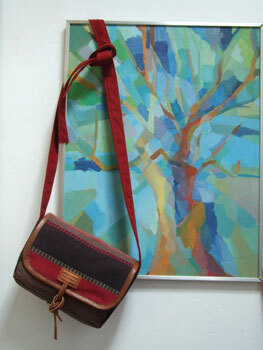 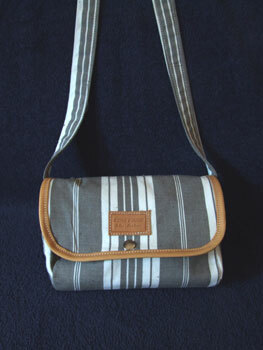 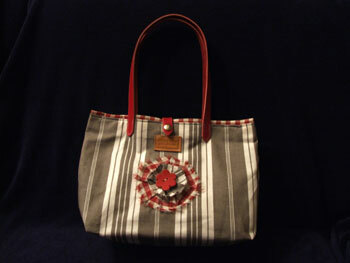 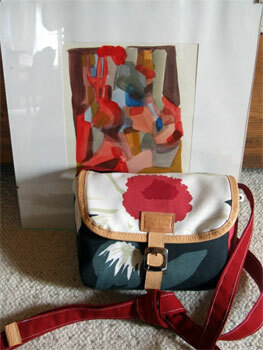 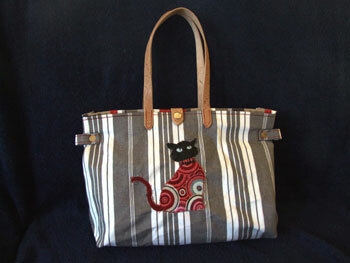 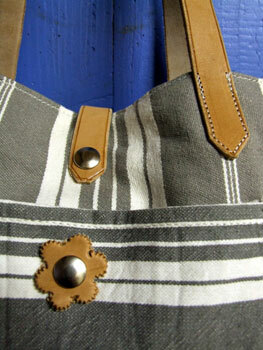 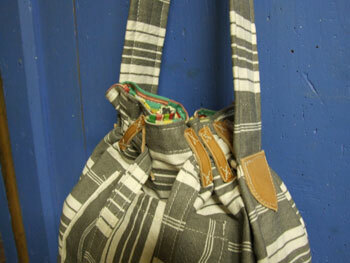 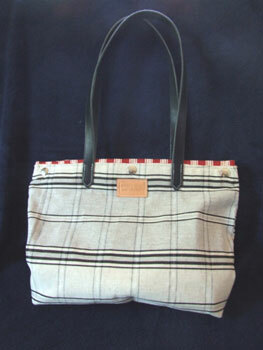 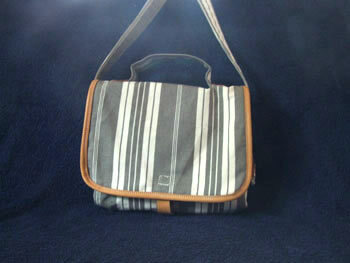 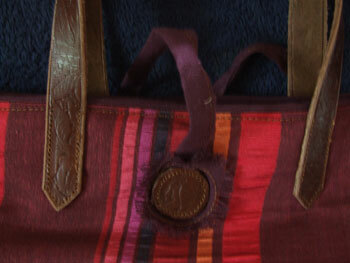 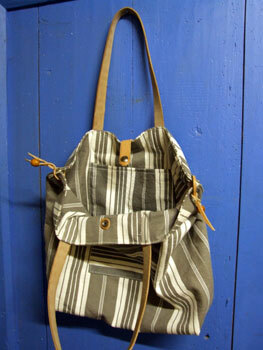 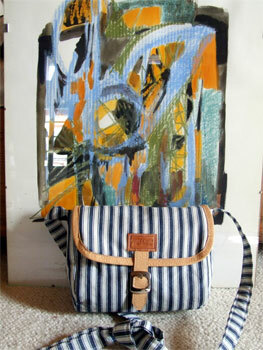 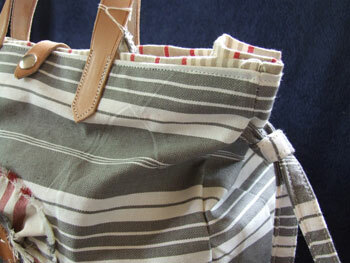 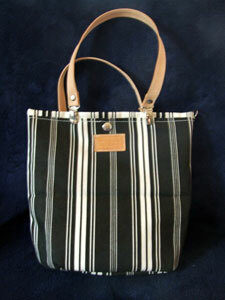 The cloth for this bag comes from a mill in the montagne noire at Labastide de Rouairoux in the Tarn. 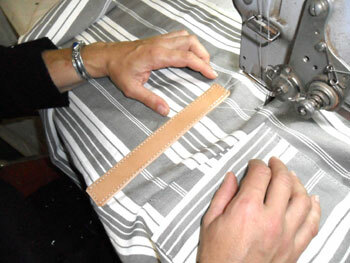 An entreprise that has put back into service the old regional weaving machines and once again produces lovely cloths in linen and cotton. 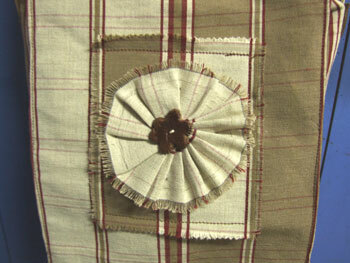 To encourage them I will use their cloths as often as possible! 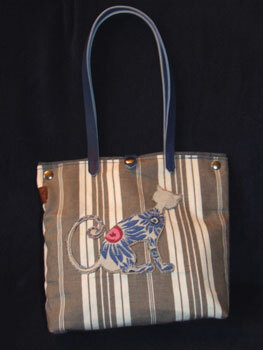 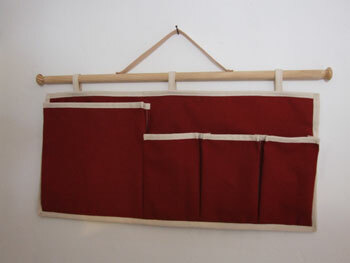 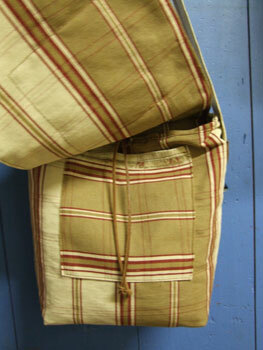 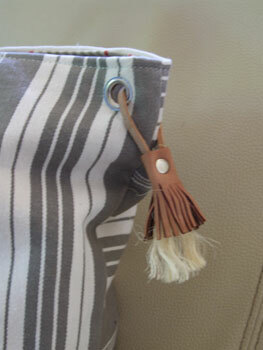 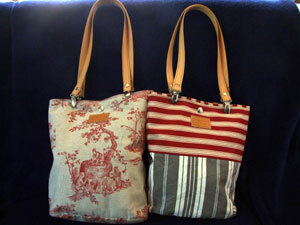 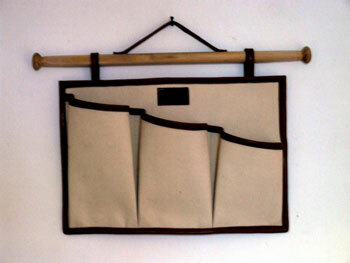 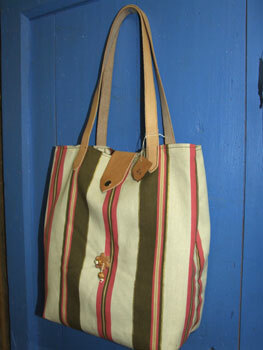 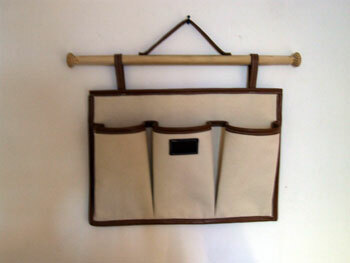 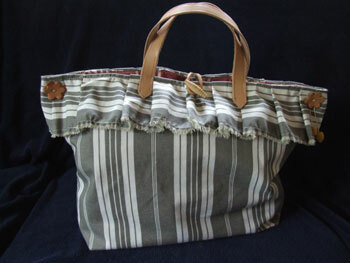 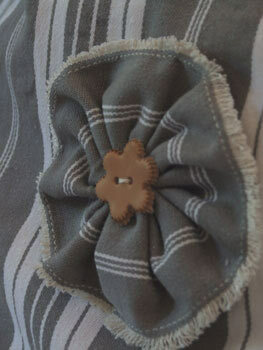 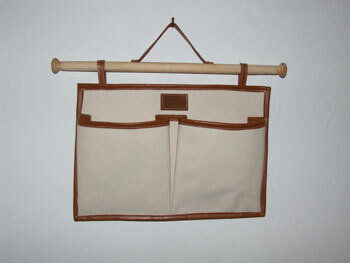 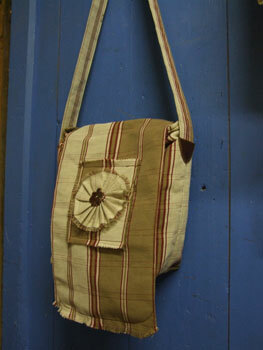 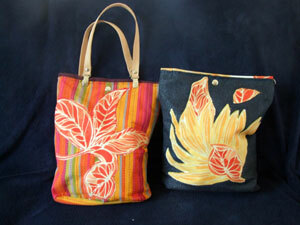 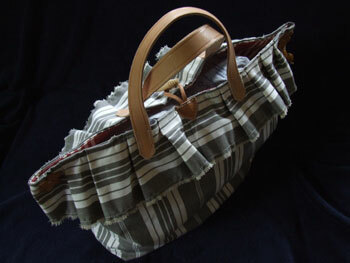 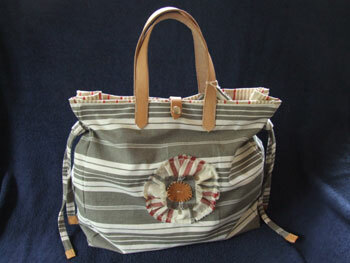 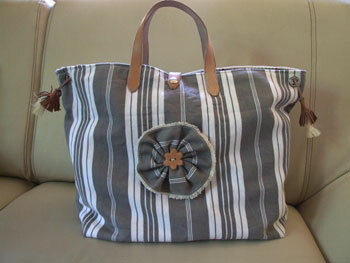 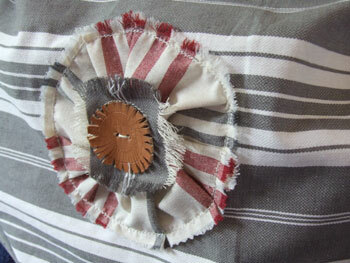 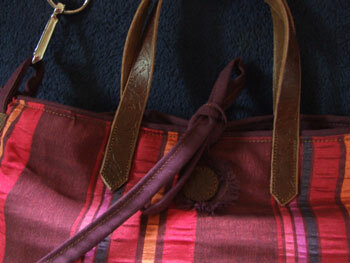 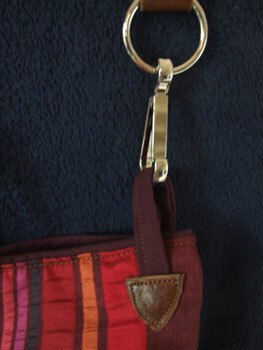 Shopping bag with frill, in matress cloth and leather.